Senior Kira Grev (SCLA) was named the female recipient of the UMAC Scholar-Athlete Leadership Award on Wednesday. The award recognizes student-athletes who excel in academics, leadership, and service, and is given to one senior male and female each year. 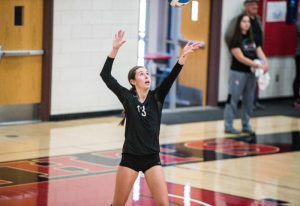 Grev is not only a four-time First-Team All-UMAC performer on the court in volleyball, but also a four-time team captain and a four-time Academic All-UMAC honoree with a career 3.98 grade point average. Grev is the third MLC student-athlete to win this award, joining Nathan Nass (’08) and April Cook (’11). Click here for more on Kira’s winning the UMAC Scholar-Athlete Leadership Award….